Nick E. of the Raiders submitted this photo and caption. 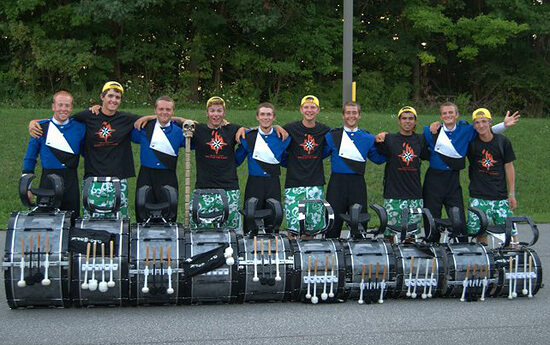 This is a picture of the Raiders bass drum line and the Oregon Crusaders bass line together at the 2010 Open Class Individual and Ensemble Competition right after both ensembles performed. Throughout the season, both bass lines made it a point to become friends which made this picture really fun to take.